Do you want to run credit card transactions through your computer but don’t need all the features and added cost of a full POS software? The TranzCrypt.com Payment Gateway comes standard with Retail SwIPe Software. 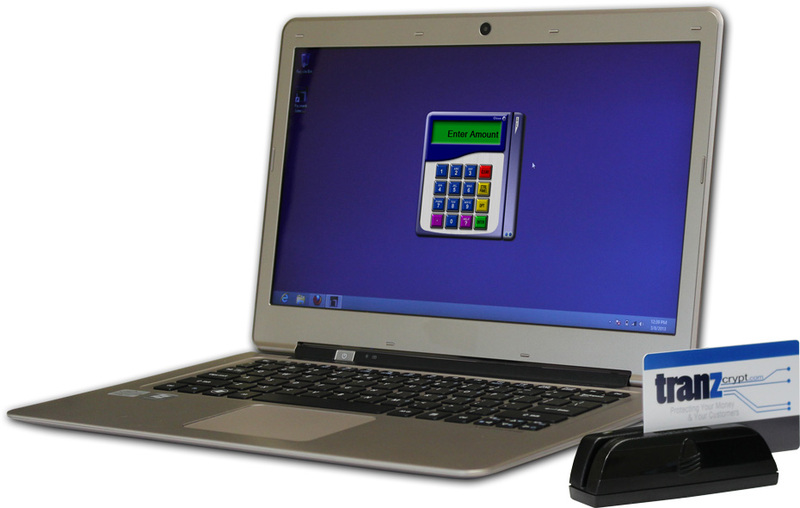 Just add on one of our inexpensive encrypted USB card readers or signature capture devices to your PC, download the free SwIPe software and you are ready to go. You can print receipts with any home or office printer, USB thermal printer, or for a more green alternative, simply email the receipt to the customer. 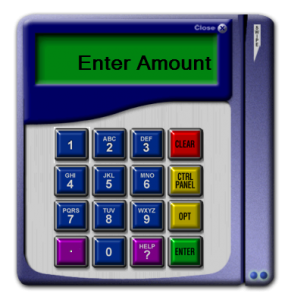 The retail SwIPe software is installed on your PC. It runs in the background and communicates with the Tranzcrypt.com Payment Gateway. The software is only visible when you swipe a card, so you can run your other computer programs just like you did before and when you swipe a card, it automatically pulls up the swipe software screen (shown to the right). That is it! The gateway will automatically settle the batches for you at the end of the day. By logging in to the gateway you are able to run reports, print reports, save as Excel files, or QuickBooks® importable files. The SwIPe Software can utilize next generation signature capture, and usb card readers with the highest security point to point encryption technologies. When using point to point encrypted devices the SwIPe Software never allows your computer or network direct access to customer credit card data virtually eliminating you from the PCI scope. With the power and security of point to point encryption technology Tranzcrypt.com defends you when you need it most.